These 3 wick candles in a jar will freshen up your whole house. 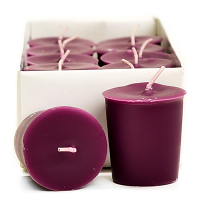 We use premium paraffin wax and lead free wicks in these large jar candles. 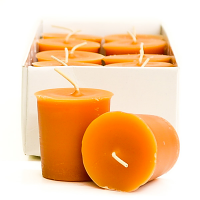 Each of these Crangerine scented jar candles is hand crafted in the U.S.A. In addition to the beautiful fragrance, these 3 wick jar candles create a warm, glowing ambiance. 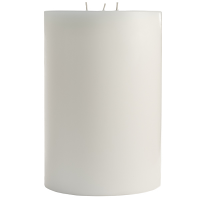 They can also function as a great source of light if you lose power in your home. The 3 flames will melt the wax out to the edge of the glass using up all the wax. When the candle wax is all gone, you can reuse these large glass jars for storing items in your kitchen. Lovely scent ! 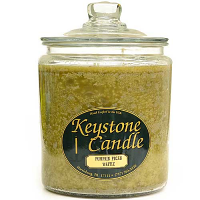 I've been buying Keystone jar candles for many years and really enjoy them all ! Advantages: They have a great scent and burn well for many hours. Disadvantages: They've begun to almost be beyond what I can afford now that I'm retired. 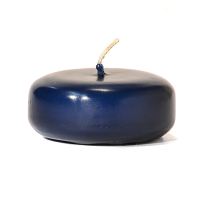 I've just received this candle ring and am so very happy with it. The colors and size are just what I was looking for. I'm now waiting to receive the two smaller (4.5) hydrangea rings.